A picturesque neighborhood in Savannah, Georgia. All photos by Anna Petrow. As long as you've got good company, you don't need to travel far to create lasting memories. 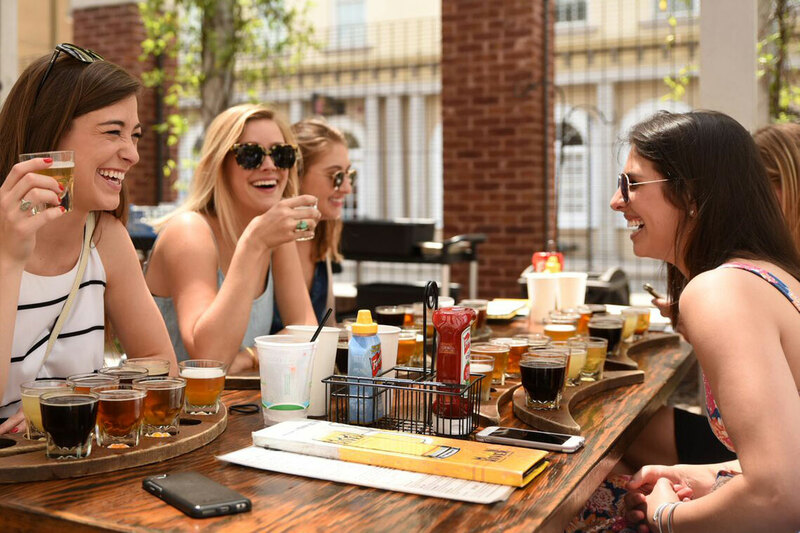 Photographer Anna Petrow shares a step-by-step guide for the perfect girls' trip in the charming city of Savannah, Georgia — filled with delicious food, booze with a view, and captivating history. SAVANNAH, Georgia – It's crazy hard for even the closest of friends to put a trip in the books. But we made it happen with a weekend in Savannah, which has stunning scenery, a fabulous food scene, and some of the most fascinating history in our nation. 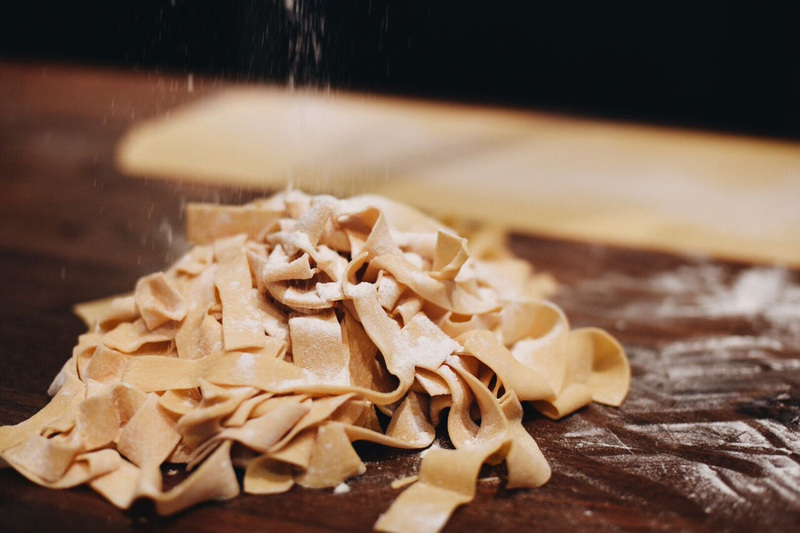 Learn how to make pasta from scratch at Bellina Alimentari. A true reunion calls for a proper road trip. My friends and I decided to rendezvous in Atlanta for a night of carbo-loading before the big drive in the morning. We went to hip factory-turned-marketplace , visited stationary stores and art boutiques, walked the for the city views, and most importantly, hit the food hall. The famed put together a wine-fueled pasta making class where we mixed our own dough and took turns running it through the pasta making machine (hilarious Snapchats ensued). Bedroom in the charming Airbnb. We stayed in a right near Forsyth Park. 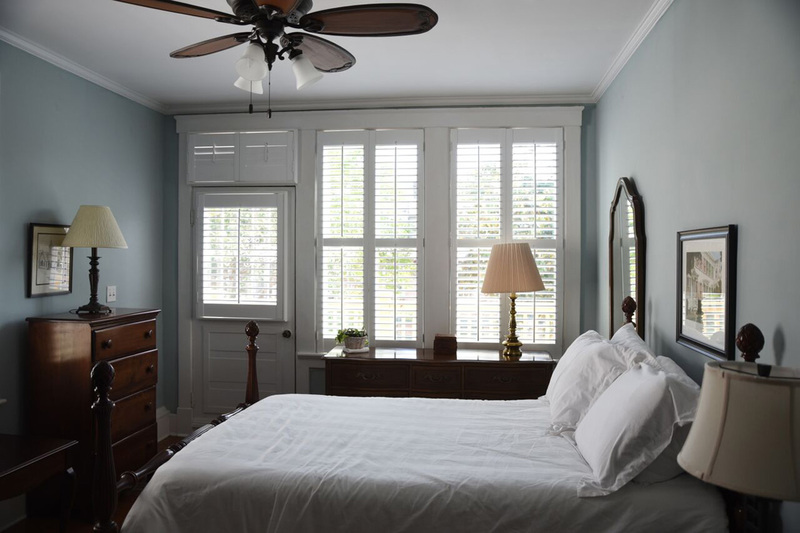 Built in 1860 and beautifully restored by the home's owner, a lovely veteran named Powell, it served as a relaxing base for our action-filled trip. We loved the light-filled bedrooms and private brick patio, and there was plenty of space to lounge around. Beer tasting at Moon River Brewing Company. Savannah is open container, which means my girlfriends and I had a cocktail in hand just about anytime we walked out the front door. We made a DIY mimosa bar with champagne, grapefruit juice, and homemade rosemary simple syrup. When that felt like a bit too much work for vacation, we stopped in for a to-go cocktail at martini bar. And at the end of the day, with it's great rosé selection and even better views was our go-to, as well as local just across the street for beer tastings. 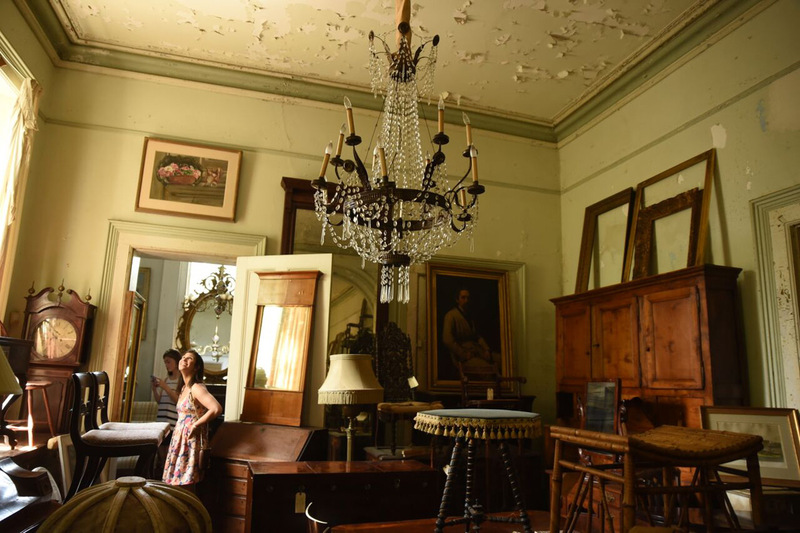 Rooms full of antiques at Alex Raskin Antiques. 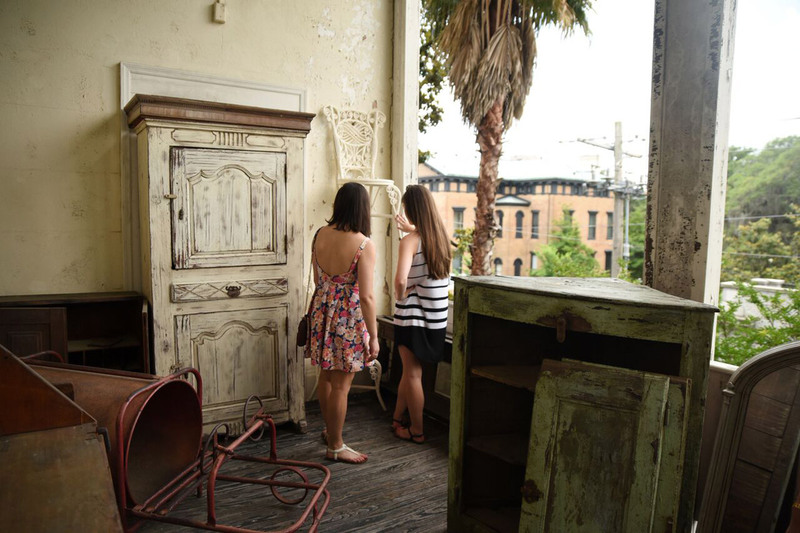 We loved the local boutiques Savannah had to offer — and its sister shop, , were both great spots to pick up sundresses to beat the heat. We roamed Broughton Street in the main shopping district but found a more unique shopping experience at Alex Raskin Antiques (441 Bull St.; +912-232-8205), where hundreds of antiques are housed in an essentially untouched mansion. 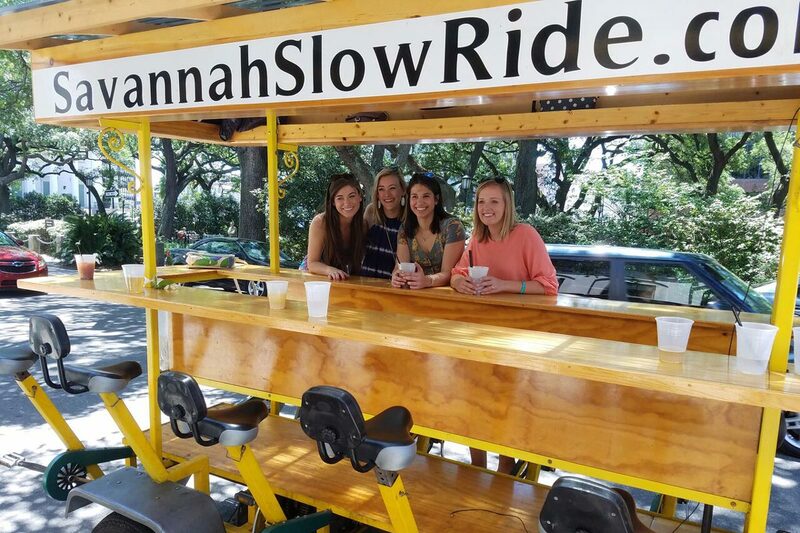 Learn about Savannah's history, burn calories, and have a drink or two with tours led by Savannah Slow Ride. 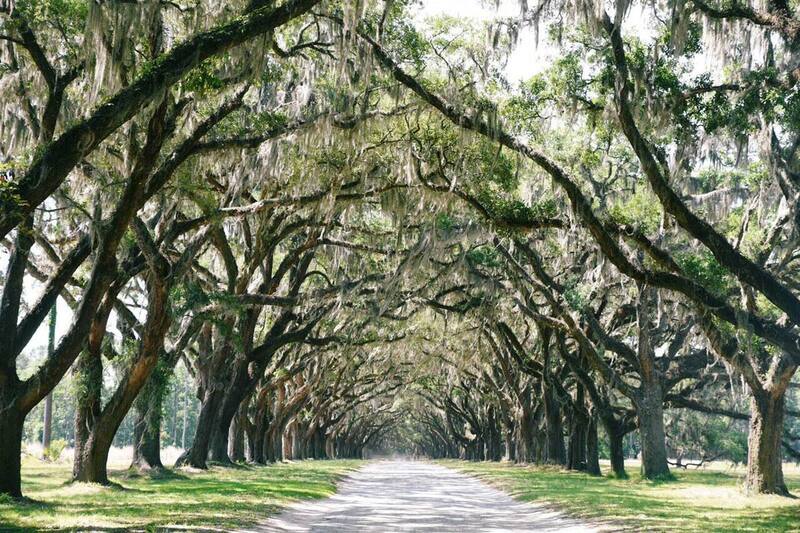 Entry to Wormsloe Historic site lined with Spanish moss trees. A main draw to Savannah is its history. When the weather warms up in the afternoon, the best way to take it all in is by bike. We booked a tour with a brilliant tour guide (shout-out to Ed!) from . As we pedaled our way through each square, we heard the legend of how the city was built (and stopped at a bar or two along the way). We also took a short drive out of the city to Wormsloe Historic Site, dating back to 1736. The miles-long entry to the main house is lined with hundreds of Spanish moss trees on each side, creating a canopy that makes a convincing case that Ryan Gosling is about to pop out at any moment. He didn't. 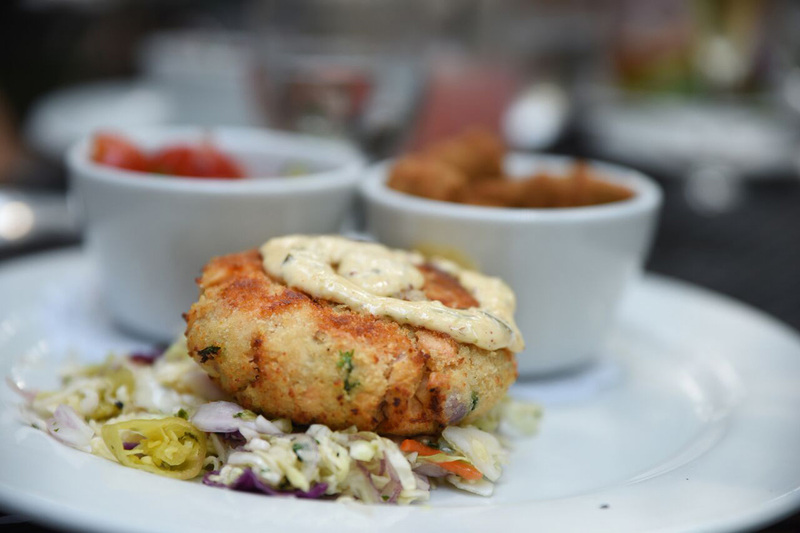 Crab cakes at SOHO South Cafe. We enjoyed all kinds of tasty variations of Southern food during our stay in Savannah. Juicy Georgia peaches from a roadside stand on the way into town made for a great snack at home, and the restaurants we ate at really made a mark. At a private dinner inside the original bank vault at , we dined on a locally procured cheese and charcuterie plate and sipped on custom cocktails that echo the creativity of the art scene. was a mandatory stop for old school Southern indulgence – biscuits and buttermilk fried chicken, potpie, and fried green tomatoes with candied bacon, all enjoyed in the playful grandeur of a giant pink mansion. In the basement of the house, we sat at the historic bar listening to jazz. We had a lovely crab cake lunch and drinks on the patio at , originally an It auto service station from the 1940s. Our favorite meal by far was dinner outside on the dock at , watching the sunset over the marshes. Simple, fresh seafood and vodka lemonades were the makings of a perfect summer night. Blueberry crisp capped it off. Prints designed by Savannah College of Art and Design students at shopSCAD. 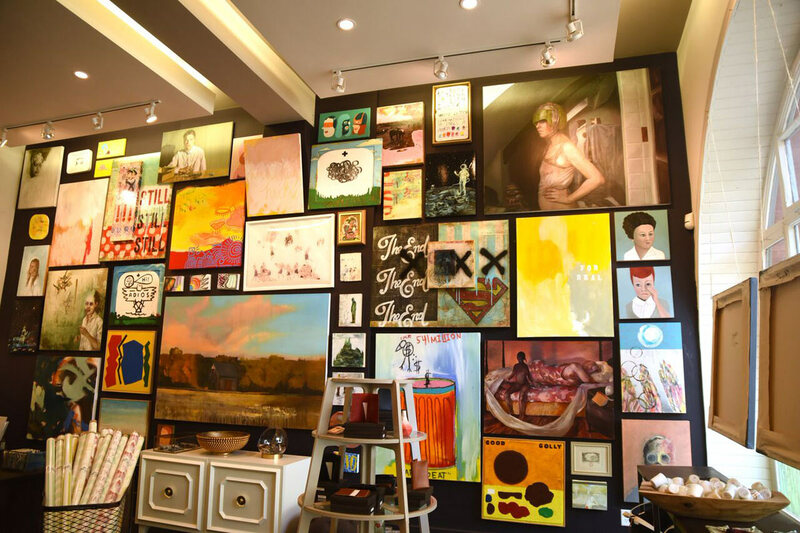 The has created an excellent base for local galleries, shops, and exhibitions. There are also excellent museums like , where we saw candid photos of Elvis on the road the year he turned 21 and made it big. We also loved on Bull Street for student-designed cards, hand-printed wrapping paper, drawings, and paintings. The well-informed locals were helpful in guiding us to galleries they thought we might like, so be sure to ask around. 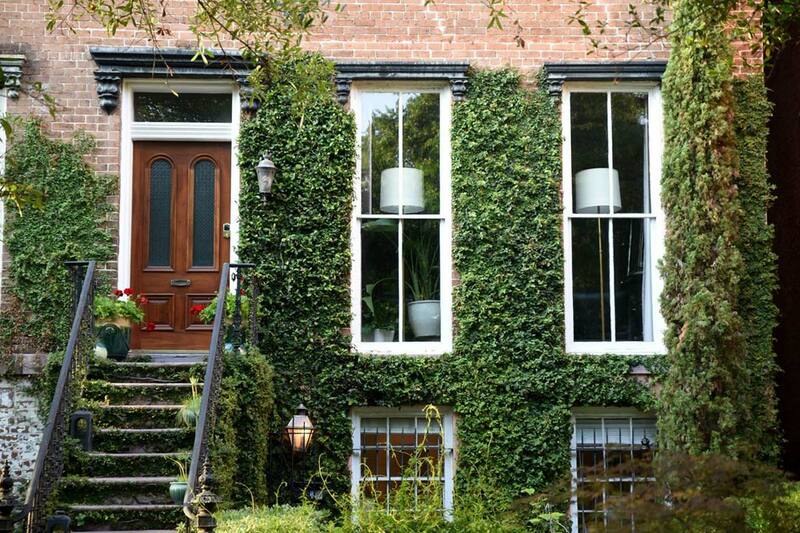 Ivy and brick are a classic combination seen when wandering around Savannah. 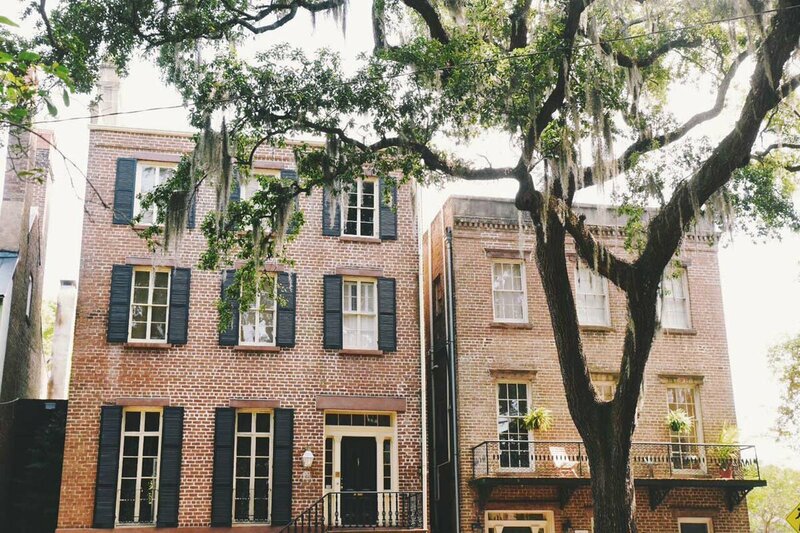 We all agreed that the best parts of our trip were the unplanned early mornings and late afternoons spent meandering the streets to admire the architecture, Spanish moss, and cobblestones of Savannah. Having no agenda is sometimes the best plan of all. We flew into Hartsfield-Jackson airport in Atlanta. One of the girls in my group lives there, so we had a place to crash and a car to drive. It takes about three-and-a-half hours to get from Atlanta to Savannah (including a few stops: bathroom, peaches, to take pictures of Georgia pines, etc. ), so it's pretty easy and really pretty.